The nourishing properties of seaweed are known to all. As a matter of fact, seaweed can be taken as a protein shake also because of its rich concentration of essential fatty acid, antioxidants, vitamins, and minerals. If you are in love with your skin yet unable to down a glass of seaweed smoothie, indulge yourself with O3+ Seaweed Facial and let your skin soak in the natural goodness of seaweed. From cleansing to toning, moisturising to repairing, seaweed and marine extracts are the new hero in the skincare world. Packed with an unusually high concentration of vitamins, minerals, amino acids, and antioxidants, the algae has got a lot to give. Found in the depths of seas, seaweed has a significant contribution in the world of anti-ageing beauty products too. Organic iodine present in seaweed helps in increasing the metabolism of our skin and is known to naturally cleanse and hydrate all skin types. O3+ Sea Weed Facial, with natural healing properties of seaweed, detoxifies the skin and nourishes it from within. The seaweed-infused purifying mask incorporated in the facial clears skin imperfections and evens out ageing lines and ugly, pigmentation marks while the nourishing seaweed oil control serum purifies the skin and increases skin luminosity. 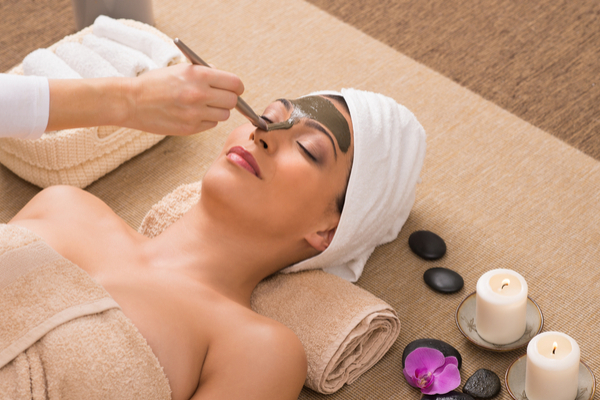 For now, Delhi-ites can rejoice because one of the most pampering facials is in your town already! For women in other cities, we promise we’ll reach your city soon with the goodness of seaweed packed in O3+ Sea Weed Facial.